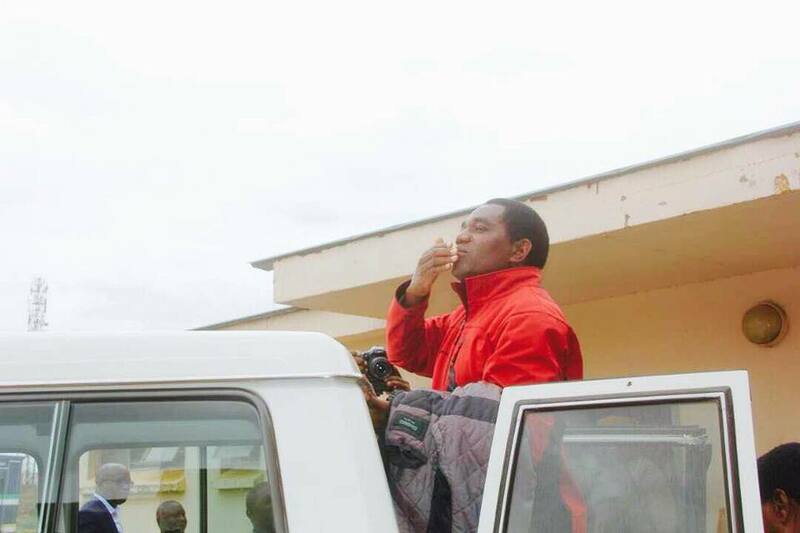 Lawyers for the incarcerated UPND leader Hakainde Hichilema have asked the Lusaka Magistrate Court to quash the charge of treason and release him and his co-accused on bail. When the matter came up today before Senior Magistrate Greenwell Malumani, the defence lawyers argued that the manner in which the charge Mr. Hichilema and his co-accused are facing has been drafted is incompetent and bad at law. They argued that in drafting the charge of treason before the Court, the state has not provided details of the overt acts of treason that they had committed. They have further contended that there is no way it can amount to an overt act of treason for Mr. Hichilema to merely state at a media briefing that he does not recognize President Edgar Lungu and that he would soon go to State House as he stated on 10th October, 2016. They have also argued that the alleged refusal to give way to the presidential motorcade cannot amount to treason. One of the defects in the charge is where the PF prosecutors state that HH wanted to overthrow the government of Edgar Lungu. In reply, the PF lawyers conceded that the charge of treason before the Court was bad at law but not defective to be amended. The PF persecutors argued that the Criminal Proceeding Court Act of the laws of Zambia allows the amendment of a charge provided such amendment does not occasion any prejudice on the accused. The PF persecutors then asked for an adjournment to enable it amended the charge, but defence lawyers objected to the application. Magistrate Malumani adjourned the matter to tomorrow for ruling on the application. This is was after the PF persecutors conceded to the earlier application by the defence lawyers that the charge of treason be tried separately from the charges of Disobedient to Lawful Orders and Use of Insulting Language. Magistrate Malumani however allowed the State not less than one day to respond to the preliminary issues that the defence lawyers raised on the torture of three of the accused and on the Pastor that visited Mr. Hichilema at night while in Police custody.